This is a sticky, dark glazed version of the ever so popular pork belly. Fast and easy to prepare for service, the jus and balsamic glaze combined with the maple syrup create a rich flavour. Smother the pork belly with KNORR Mixed Chilli Puree. 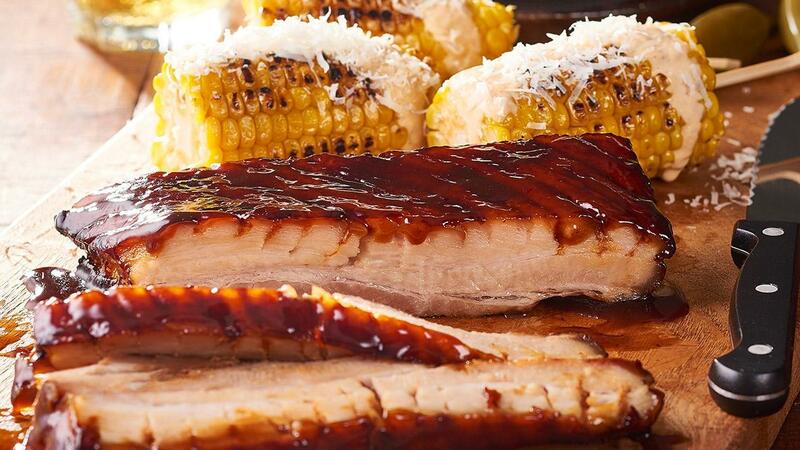 Combine the maple glaze ingredients together and add to the pork, cover and bake for 1½ hours at 160 degree Celsius. Strain the maple glaze from the belly and reduce in a pot until sticky.